EU – TP adjustments not any more relevant for custom value? On the 20th of December the EU Court gave its decision in the case of Hamamatsu Photonica Deutschland GmbH vs Hauptzollamt München (C-529/16). This case concerns the question whether in order to establish the customs value, it is allowed to use an agreed transaction value, which consists of the amount initially invoiced and declared which after the accounting period (e.g. year-end) is adjusted upwards or downwards, depending upon the transfer pricing agreement in place. 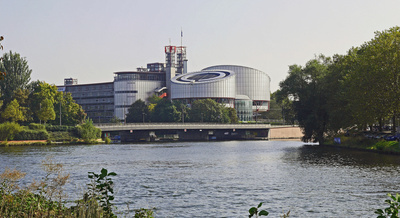 The importance of the case is that the EU Court has ruled that where a price is being used as the basis for the customs value while that price in the end may be subject to adjustments not knowing whether the adjustment at the end of the accounting period will be made up or down, it cannot form the basis for establishing the customs value. One of the main considerations made is that the legislation does not provide for an obligation for companies to report adjustments upward (i.e. an assessment would be in place) nor can the customs authorities cover the risk that only downward adjustments would be reported (i.e. refund application). For the use of the transfer price as basis for the customs valuation including the way on how to deal with retrospective price adjustments, often agreements with Customs are in place. Based upon a first analysis the conclusion may have to be that the use of a transfer price subject to adjustments as described, now no longer is possible. Question however is what the impact of this decision in daily routine will be. This will likely depend upon the specific details and circumstances in place, the nature of the agreement with Customs and possible alternative approaches. Also the manner in which the relevant customs authorities of the Member States will deal with this creates an important element to consider on the way forward, i.e. the processing of the TP adjustments are not be harmonised in the different EU member states. In addition, it is possible that the invoice would not anymore be accepted as a basis for the customs value of the goods but the alternative ways to determine the customs value would be used. There is an urgent need that you understand your position and identify on which bases you will declare custom value in order not to face difficulties later on. Categories: Tax Knowledge | Tags: customs, Customs Authorities, EU Court, EU member states, Hamamatsu Photonica Deutschland GmbH, Hauptzollamt, München, transfer pricing agreement | Permalink.